This is a great leak detector today, and an upcoming accessory could render it our top pick. 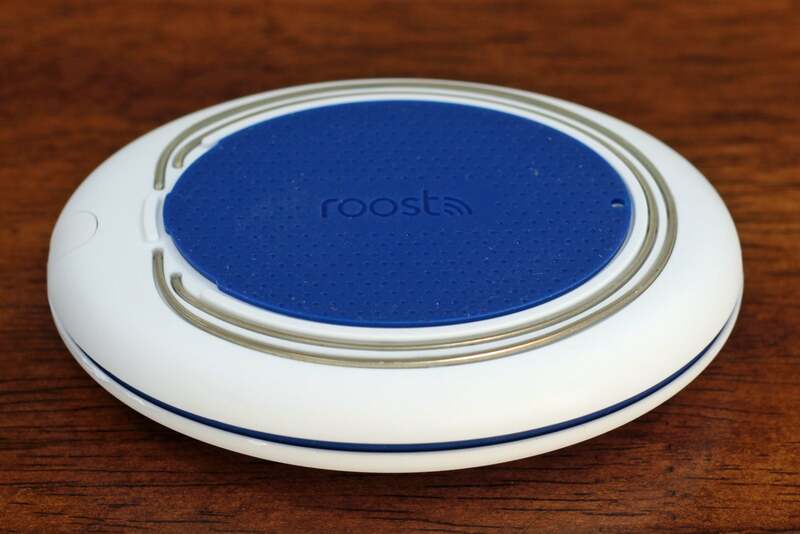 Roost started out with a great battery that makes any dumb smoke alarm smart. We weren’t quite as impressed with their second product, a smoke, fire, carbon monoxide, and natural gas detector that uses that same battery for emergency backup power (the detector itself is designed to be hardwired to power). Now the company is expanding its offerings with a smart water leak detector, and it’s a winner. If the company follows through with its promise to offer an add-on accessory, it will be our top pick in this category. That accessory is a water-detecting extension cable that Roost says will be available in late March in three- and six-foot lengths priced at $13.99 and $19.99 respectively. As it stands, the Roost Smart Water Leak and Freeze Detector is already one of the best products of its type. 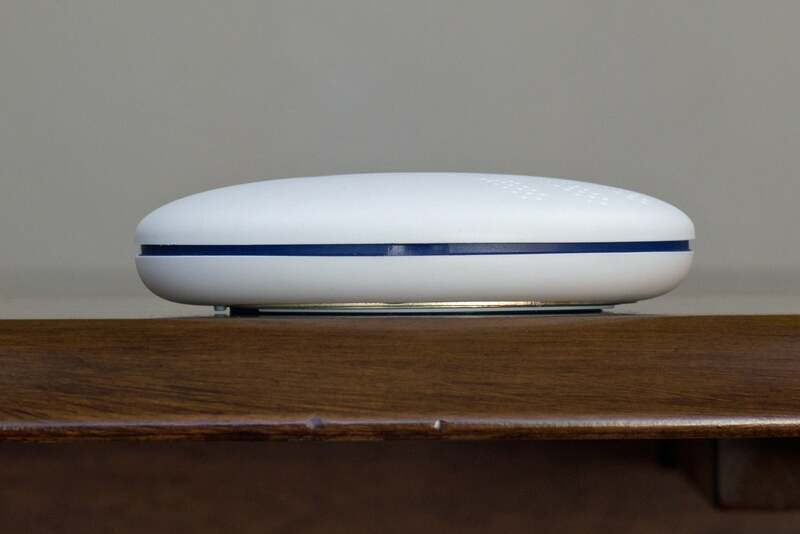 The oval-shaped detector connects to your Wi-Fi network and doesn’t require a hub or other product to operate. There are a couple of minor downsides to that approach. This review is part of our in-depth look at water leak detectors. First, it won’t work if it’s not in range of your router. Second, it can’t currently be incorporated into a broader smart-home system, including smart water valves that can shut off your main water supply if a leak is detected. Roost says it will soon offer the same type of IFTTT support that’s already available for its other products, and that might resolve the second issue. The detector measures about 3.5 inches long, 2.5 inches wide, and .75 inches tall, so it should almost any space. Roost plans to offer an extension cable that will render it even more versatile. Okay, let’s focus on what makes the Roost Smart Water Leak and Freeze Detector such a value. 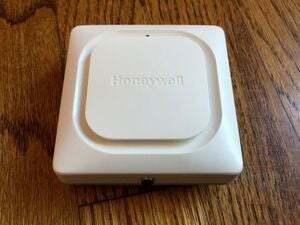 At $49.99, it’s $30 cheaper than our current top pick, the Honeywell Lyric Water Leak and Freeze Detector. It should be noted, however, that Honeywell’s product includes a four-foot extension cable. Add Roost’s optional three-foot extension, and it’s still $16 less expensive. As their names imply, both sensors can detect not just the presence of water, but also ambient temperature and humidity. Freezing temperatures can cause a water pipe to burst (as I know from personal experience), while high humidity can lead to the growth of mold. Also, people with certain health conditions are sensitive to humidity levels, and monitoring humidity is important for certain rooms, such as wine cellars and walk-in humidors. You can establish lower and upper limits for ambient temperature and humidity. The sensor will send an alert via SMS if these limits are exceeded. For both settings, you establish lower and upper limits. 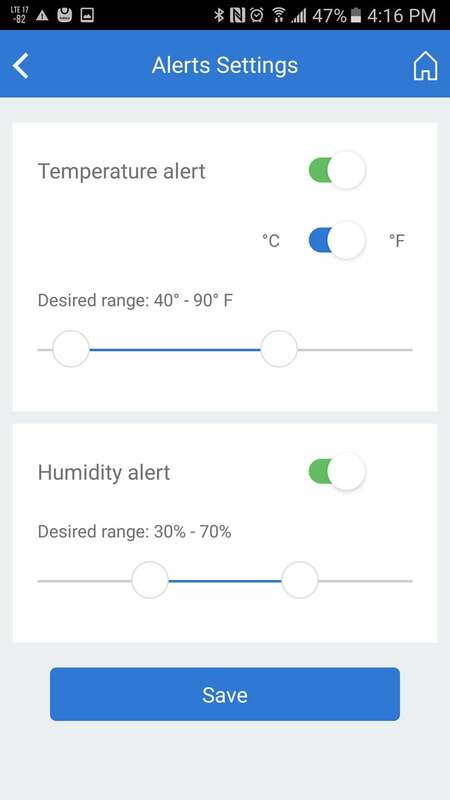 If those ranges are exceeded, the sensor will sound a local siren and send a push notification to your phone and to as many “monitors” as you care to establish. 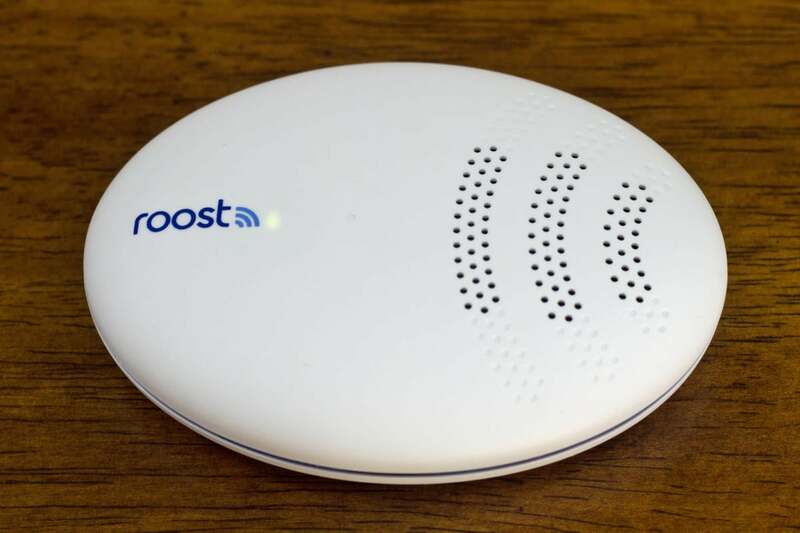 A monitor is someone who agrees to install the Roost app on their smartphone and receive alerts from any Roost device (smoke detector, smoke detector battery, or the leak detector discussed here). You can’t restrict alerts to one type or the other—in other words, you can’t have one monitor watch only for leaks, and another only for smoke/fire/CO. The onboard siren doesn’t carry far (Roost doesn’t cite a spec in decibels), so you probably wouldn’t hear it going off if you put the detector in your garage. The klaxon that sounds on the app, however, will definitely draw your attention. The Roost app allows you to enter the phone number of your local first responder for smoke/fire/CO alerts. Note that just dialing 911 on your phone would connect you with emergency services wherever you or your monitors happen to be, which might not be in close proximity to your home. There’s no provision for entering the name of your local plumber in the event of a water emergency, but anyone can turn your main water valve off. I’d suggest you make sure the people you designate as monitors know where it’s located. Water is detected by two concentric rings on the bottom of the sensor. 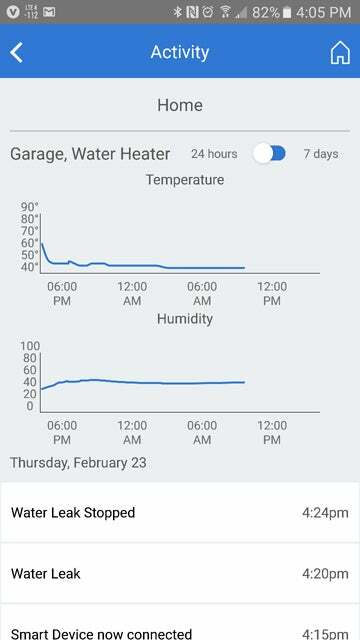 Ambient humidity and temperature are measured by sensors on the top of the device. When I inquired about water hitting the top of the sensor (from a burst pipe overhead, for instance), a Roost representative told me the detector is designed so that any water coming in from the top is directed around the circuit boards to drain out a small hole on the bottom. The concentric rings on the bottom of the Roost Smart Water and Freeze detector will quickly alert you to the presence of water where it shouldn’t be. The sensor reacted to the presence of water within five seconds in my test, and I received the alert on my smartphone within 15 seconds. 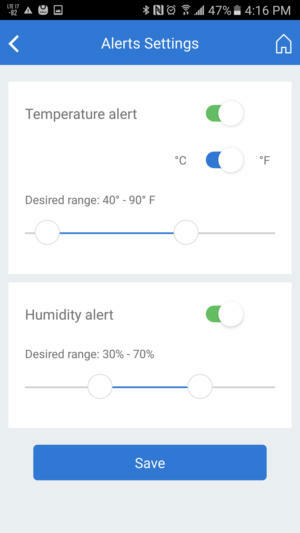 Temperature and humidity measurements are taken every 10 minutes, but these values are uploaded to the internet only once per day (unless there’s an alert or alarm instance). That strategy is designed to preserve battery life. Roost says buyers can expect the sensor’s four AA batteries to last about three years. The app will notify you when battery power is low, and well before the battery actually dies. The Roost app tracks sensor activity and reports events on 24-hour and 7-day cycles. 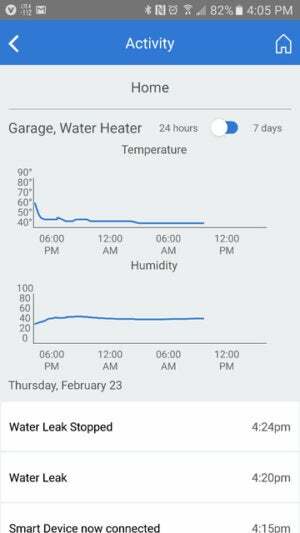 The app reports activities (when the device is connected to your Wi-Fi network, when leaks are detected, and when they’re stopped) and historical trends for the previous 24 hours and 7 days. Water damage accounts for many more homeowners’ insurance claims than burglary or even fire, so some insurance companies are offering policyholders incentives to install sensors that can mitigate water damage. Liberty Mutual is one of these companies, and Roost is actively seeking other such partners. 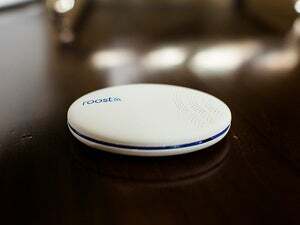 Roost tells me there’s no practical limit to the number of sensors (smoke or water) that can be deployed in a single home, and there’s no limit to the number of monitors you invite to help you keep an eye on your home. Two features would make the Roost Smart Water Leak and Freeze Detector even better: An extension sensor cable (coming in March) and the ability to tie the detector to a smart water shut-off valve (perhaps that will come with the planned IFTTT integration). Neither of those issues is significant enough to prevent us from recommending this product today. A couple of in-the-works features could render this our top pick in water-leak sensors; it's already an exceptionally good product.